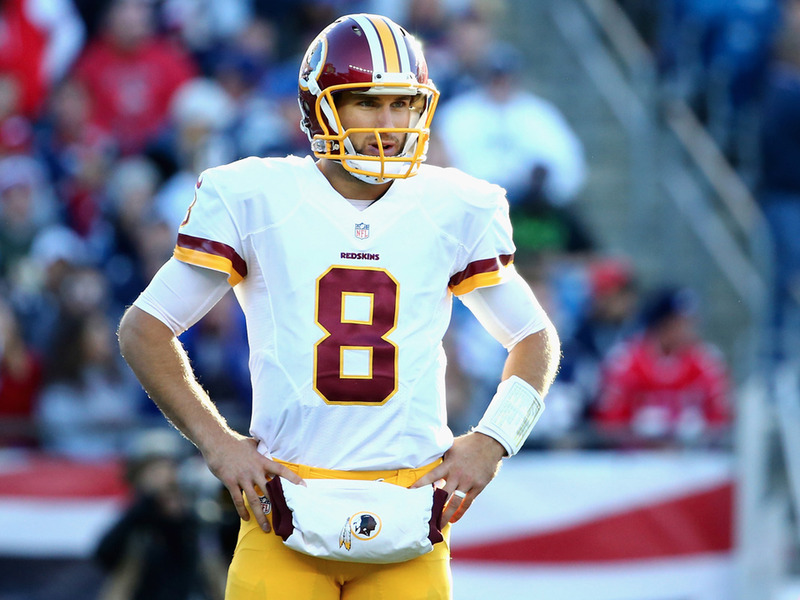 Maddie Meyer/GettyKirk Cousins will become the first quarterback to play two straight seasons on the franchise tag. Kirk Cousins and the Washington Redskins are running out of time to come to a contract negotiation, and it could send them into “unprecedented” territory, according to ESPN’s Adam Schefter. Cousins is currently slated to play on the franchise tag next season, but he and Washington have been negotiating a long-term contract all offseason. However, according to Schefter, the two sides are not expected to come to an agreement before the 4 p.m. ET deadline on Monday, setting up an unknown future. Cousins’ franchise tag this season is $US23.9 million, but it increases next season to $US34.5 million or $US28.7 million if Washington gives him the “transition” tag, meaning other teams can sign Cousins to an offer sheet that Washington has the right to match. The tags are fully guaranteed, meaning if Washington doesn’t agree to an extension with Cousins, he’s going to become very expensive. After playing on the franchise tag last season, Cousins is about to enter unknown waters, according to Schefter. “We are looking at an unprecedented situation,” Schefter said. “First of all, we’ve never seen a quarterback play under the franchise tag for two straight years. Then, we’ve never seen what happens after that. And that’s where it gets interesting … Other teams will have the right to go get him if they don’t franchise him, and it’s hard to imagine they would franchise him. Cousins figures to be in that latter camp. While NFL players often don’t like dealing with the lack of security that comes with a one-year deal, it may benefit Cousins no matter what. As mentioned, the fully guaranteed tags would make him the highest-paid player in the league. But if Cousins and Washington don’t come to an agreement, Cousins can then negotiate a long-term deal elsewhere around the league — the San Francisco 49ers are often mentioned as likely suitor. The ball is essentially in Cousins’ court — he stands to make a lot of money either way, but this season, the better he plays, the more he stands to make. Either he’ll play so well that Washington has to tag him to keep him around, or he plays so well that another team offers him a monster contract to lure him away from Washington. If it works out well for Cousins, more quarterbacks may be inclined to forgo extensions, make money on the tags, then cash in afterward.